I really like the store-bought “hint of lime” tortilla chips. As I was making my Tex-Mex Chopped Salad recently, for which I really wanted some to crunch over the top, I realized I never thought to buy any at the grocery store. I did, however, have corn tortillas (a sprouted grain variety which I highly recommend) and decided to make my own. Not only is this easy an easy task, the results are quite pleasing. The chips will be slightly heartier and crunchier than the store-bought kind — in a way my family really likes. The lime taste is subtle but definitely present. For a chili-lime twist, try sprinkling on a bit of chili powder along with the salt. Cumin would be tasty, too. Time to make Speedy Guacamole! Mix olive oil and lime juice and brush over one side of each tortilla. Sprinkle tortillas with salt and chili powder or cumin, if desired. Serve with salsa or guacamole or crush and use as a Tex-Mex salad topper. This recipe was shared with Recipes for My Boys Thursday’s Treasures, Week 55. Oh these are definitely being made and possibly this weekend since I still have corn tortillas left. They look delish! New follower from Thursday’s Treasures! I hope you like and am glad you found me through Thursday’s Treasures! Wow these look so yummy! I have to try them . Love lime flavor in Mexican cooking. I love lime tortilla chips and these are even better since they don’t have any strange ingredients! I’m off to pin these thanks so much for sharing! Thank you for pinning, Serena, and so glad you like! Revisiting this and thinking, I never did make them but oh I am going to! 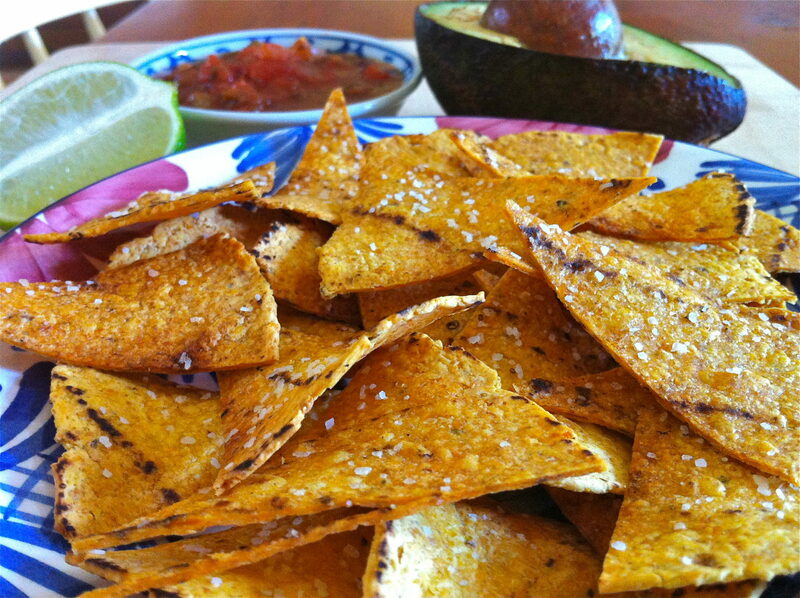 Think I will use the wonderful avocado oil I have from you..
Pingback: The Fountain Avenue Kitchen – Throw Back Thursday — Salted Lime Baked Corn Tortilla Chips…perfect for game day! HI Ann, and again, I have not made these yet but plan on it this weekend. I have some small corn tortillas I got at Whole Foods so I am using some of them for this recipe. YUM! I love the flavor and crunch of these, Mary Lou. I’m happy you will be trying! Hi Ann, I remember this recipe from some time ago, yet I never did make them! I am bringing an appetizer to a friends house in a couple of weeks and thinking I will make these to bring with some salsa. Sounds delicious! It’s late afternoon and I could use some right about now…with your salsa, of course!